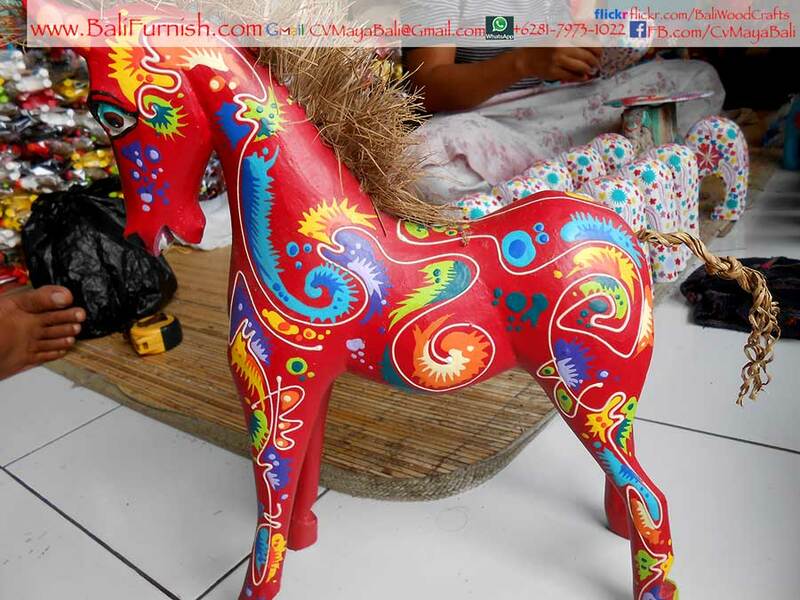 Painted Wood Horse from Bali Indonesia. Balinese wood carvings factory. Online catalog for handmade wood crafts by Balinese craftsmen. We're fair trade company exporting Bali arts crafts worldwide.